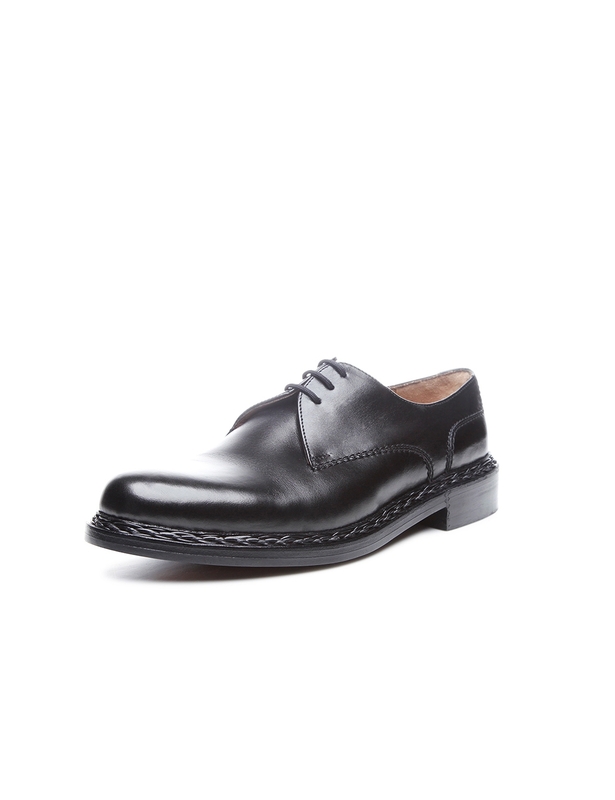 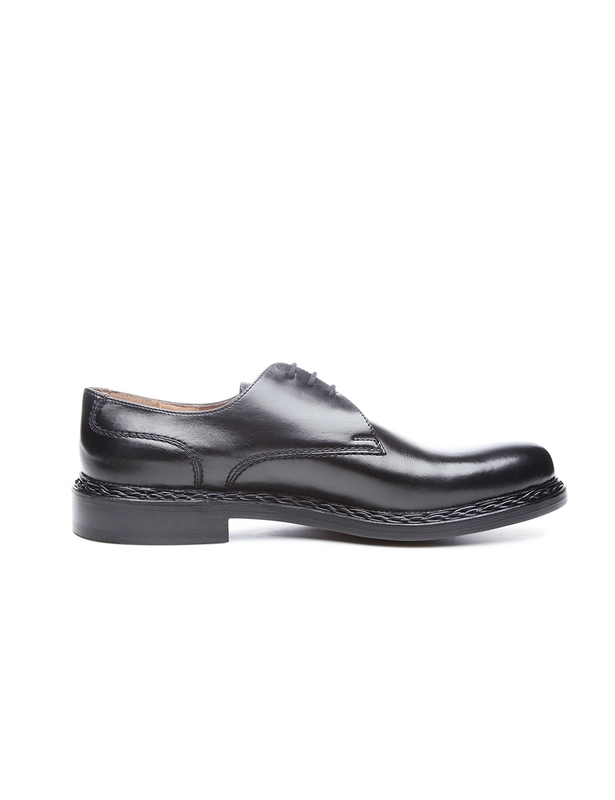 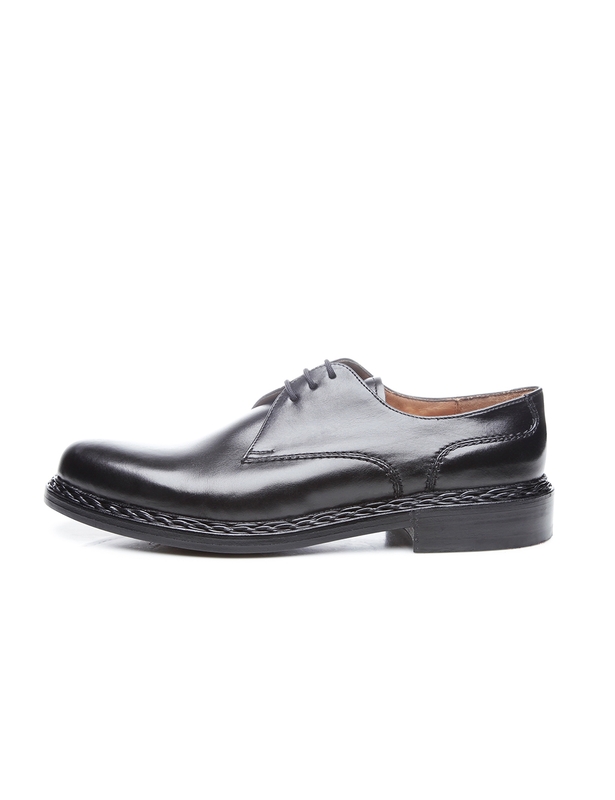 Thanks to a hand-woven braided welt, this traditional plain Derby takes on an air of stylish refinement. 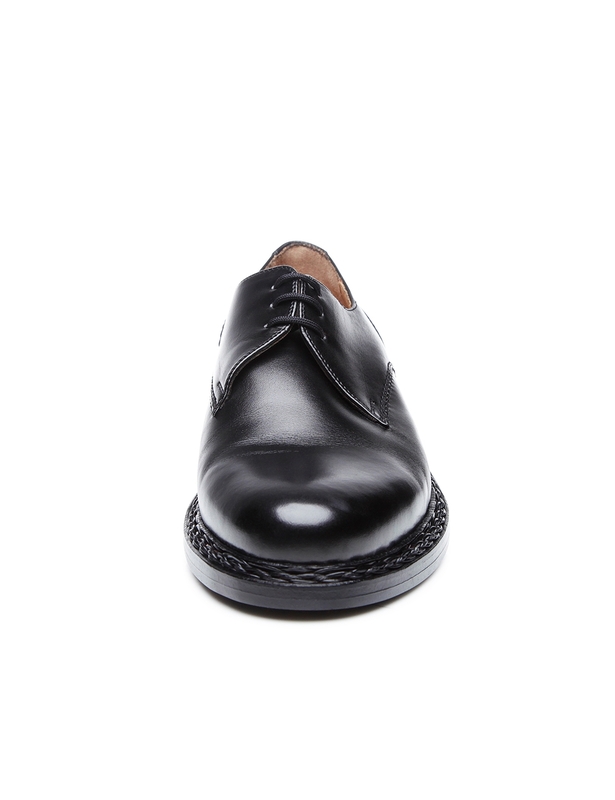 Shoe lovers will immediate recognize the level of masterful craftsmanship that goes into making this kind of double-stitched men’s shoe. 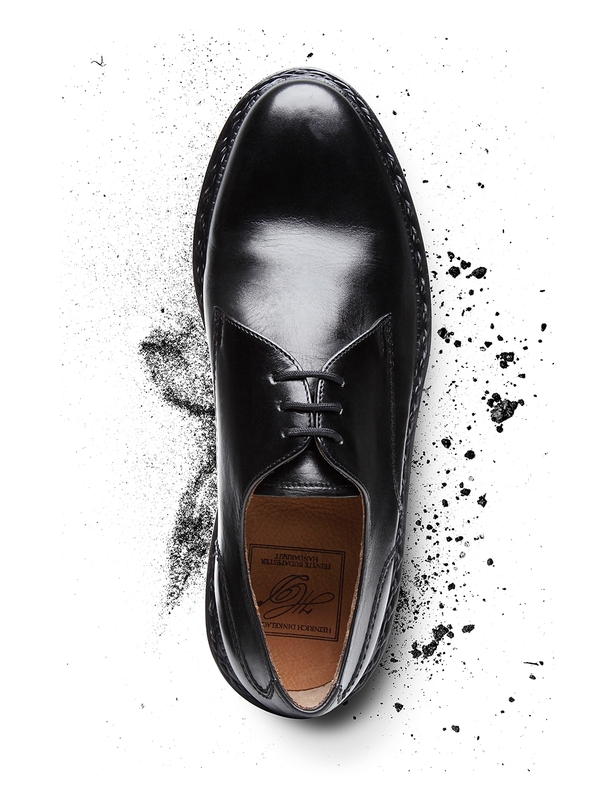 The aniline-dyed soft calf from which the shaft is made impresses with its satiny matt gleam and soft texture. 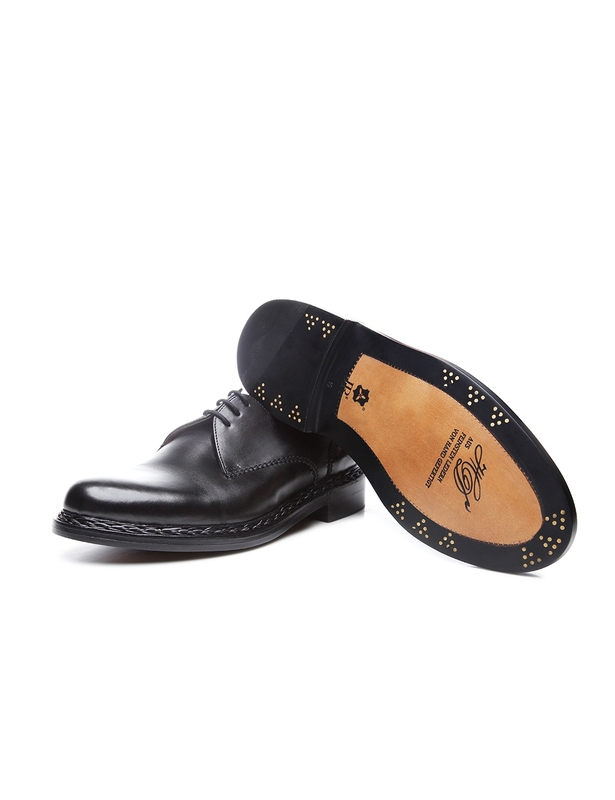 As a crowning touch, the shoe features a double sole that includes an exclusive leather Rendenbach outsole and a meticulously assembled set of six nails. 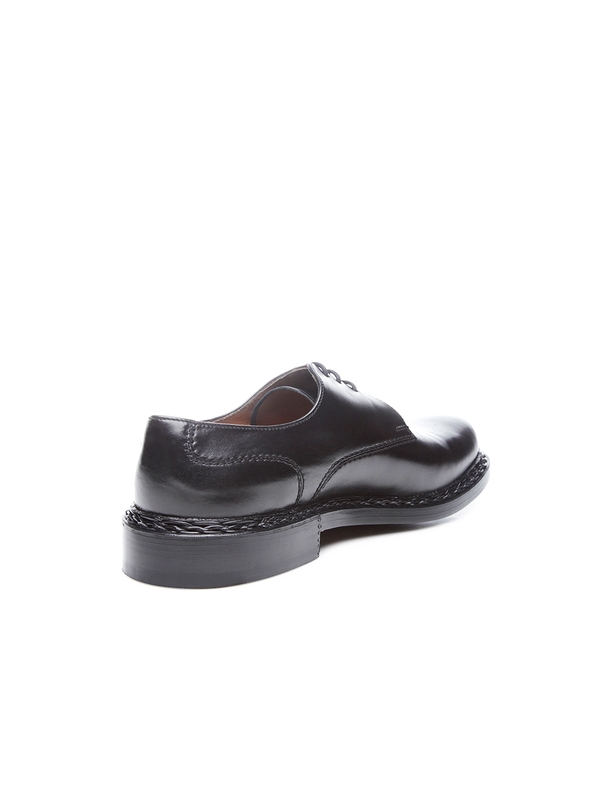 Combined with the shoe’s upper, this sole guarantees the utmost comfort and durability. 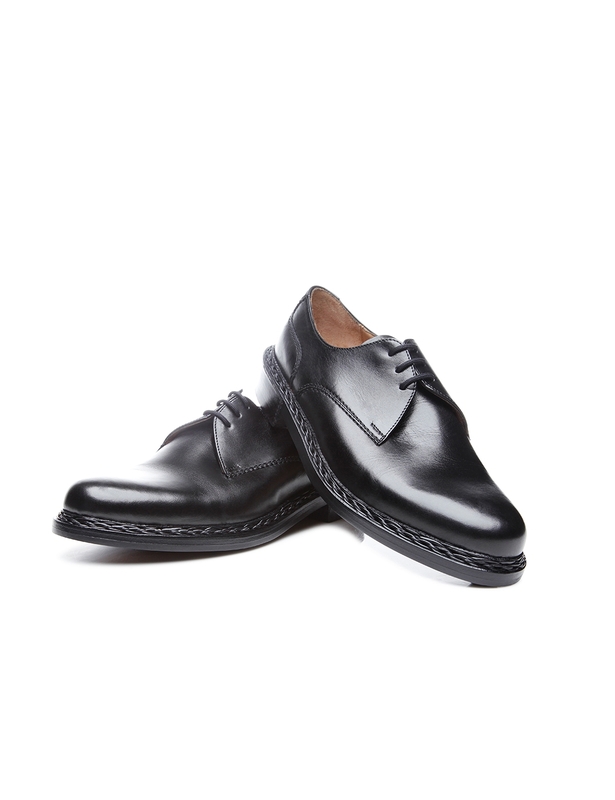 It takes over 300 work steps to make this wholly unadorned Derby with open three-eyelet lacing in our Budapest factory. 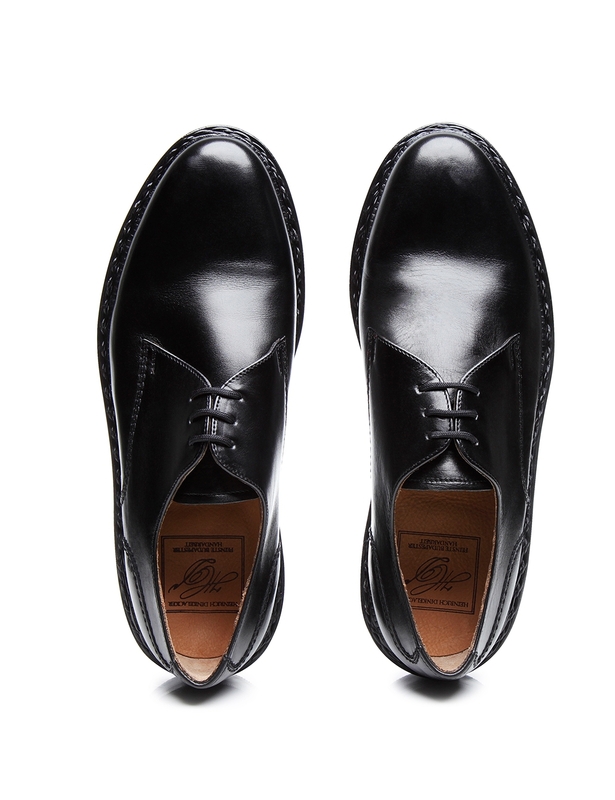 Drawing upon their wealth of expertise and applying their love of detail, our on-site cobblers carefully create these luxurious testaments to the art of shoemaking. 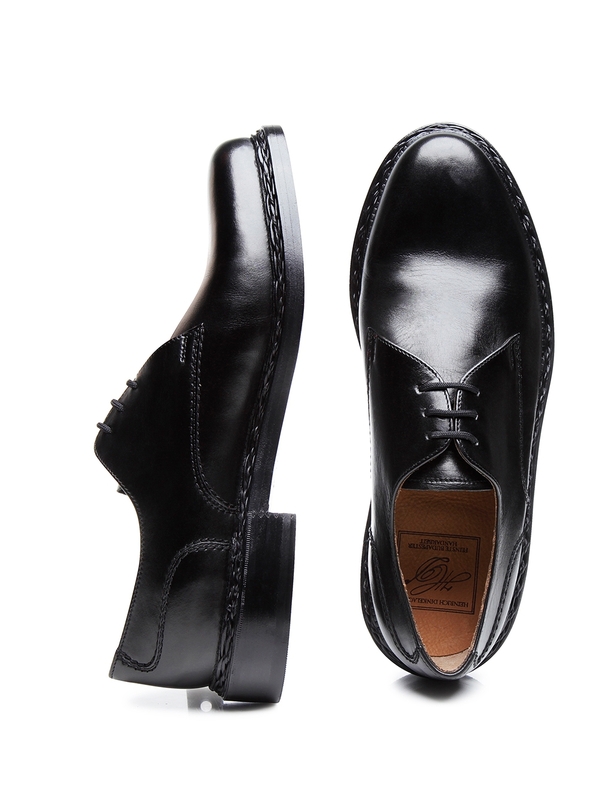 Heinrich Dinkelacker shoes have always been entirely made by hand.